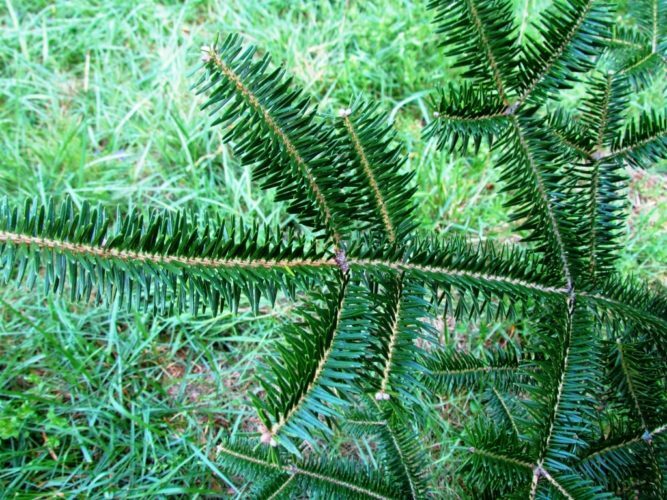 Abies homolepis, as described in 1842 by Philipp Franz von Siebold (1796–1866) and Joseph Gerhard Zuccarini (1790–1848), in Flora Japonica 2, is commonly known as Nikko fir; as well as ウラジロモミ, (urajiro-momi) in the Japanese language. 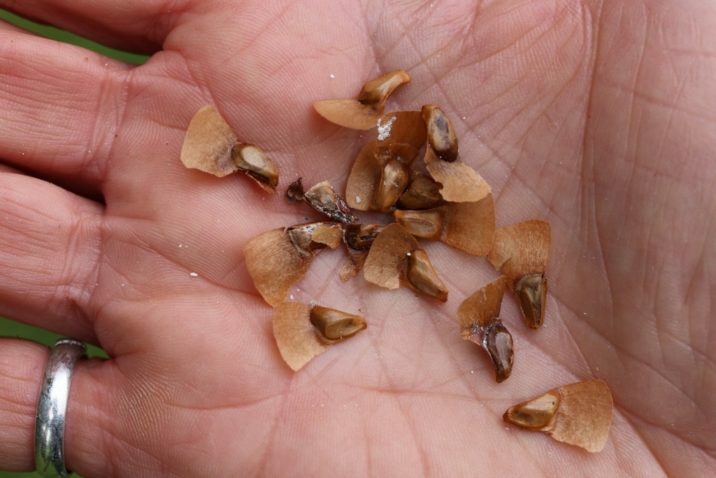 The name homolepis means cones scales (Greek - lepis) of the same kind and size. 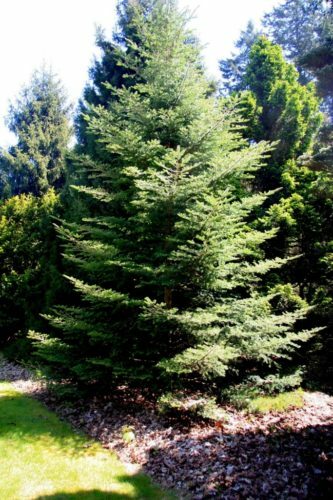 Philipp Franz Balthasar von Siebold first introduced this conifer into cultivation in Holland 1859-60 and first planted in North America on or before 1870. Description. 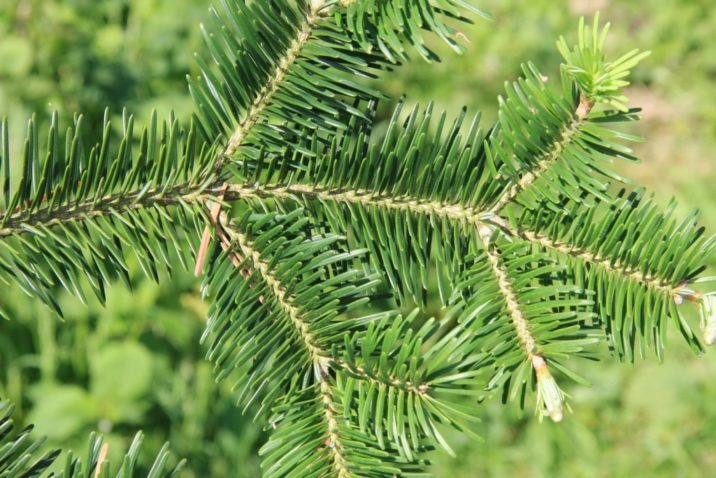 Nikko fir is an evergreen coniferous species of tree which will grow to a mature height of 100 to 120 feet (30 – 40 m) tall with a trunk up to 5 feet (1.5 m) in diameter, measured at breast height. 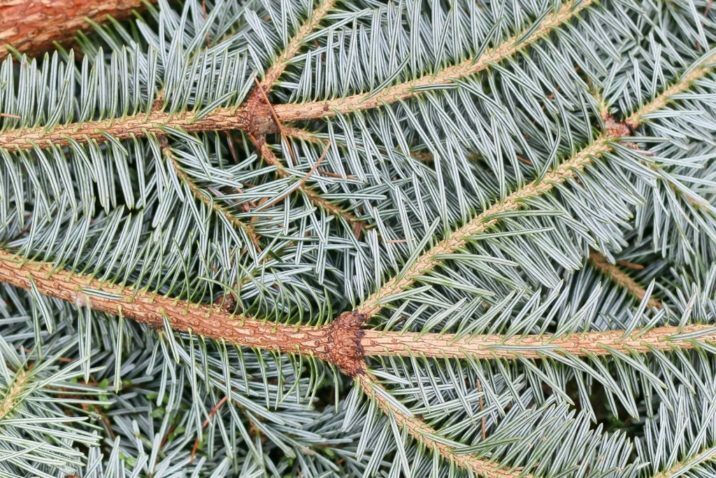 Leaves are needle-like and flattened, measuring 0.6 to 1.4 inches (1.5 – 3.5 cm) long by 0.08 to 0.12 inch (2 – 3 mm) wide and 0.02 inch (0.5 mm) thick. They are glossy green above, with two white bands of stomata below, and rounded or slightly notched at the tip. 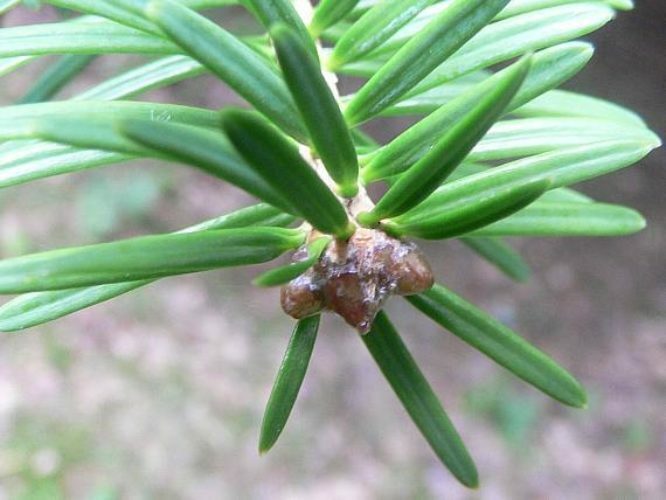 The leaf arrangement is spiral on the shoot, with each leaf variably twisted at the base so they lie partially flattened to either side of and above the shoot, with few below the shoot. Shoots are yellow-buff with a glabrous texture, and often conspicuously grooved. 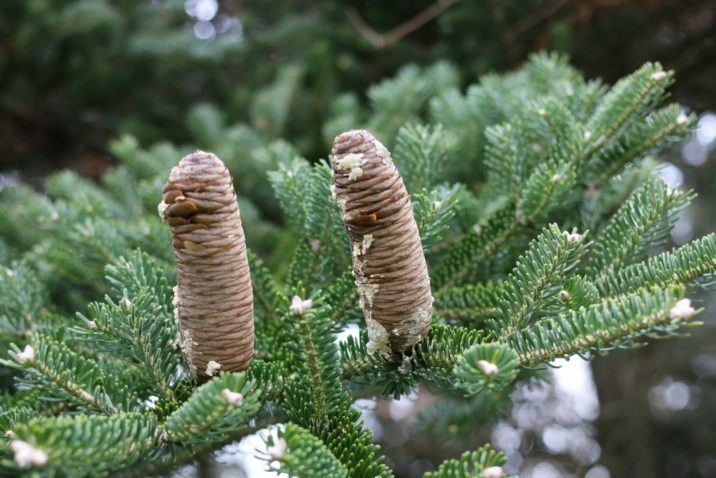 Seed cones measure 2.4 to 4.8 inches (6 – 12 cm) long and 1.2 to 1.6 inches (3 – 4 cm) broad and are showy purple-Blue in color before maturity. 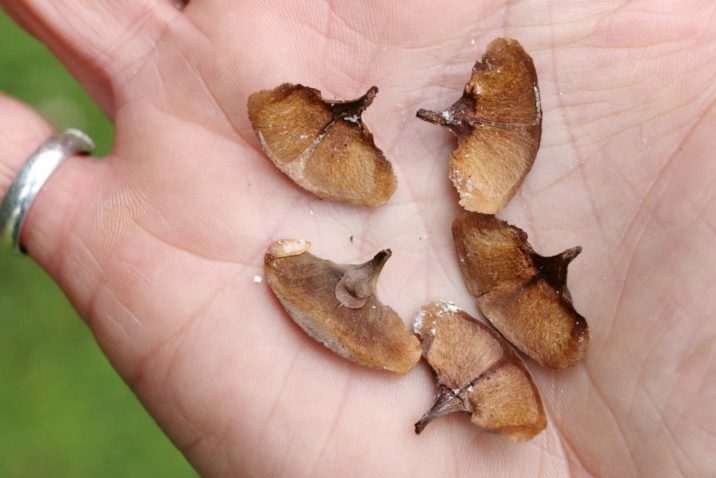 Winged seeds are released when the cones disintegrate at maturity about 6 to 7 months after pollination. 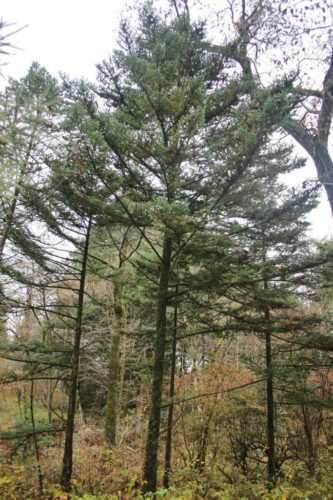 As with another Japanese fir, Abies firma , this tree shares a distinctive broad-spreading silhouette. Distribution. This species is native to Japan — in the mountains of central and southern Honshū and Shikoku. 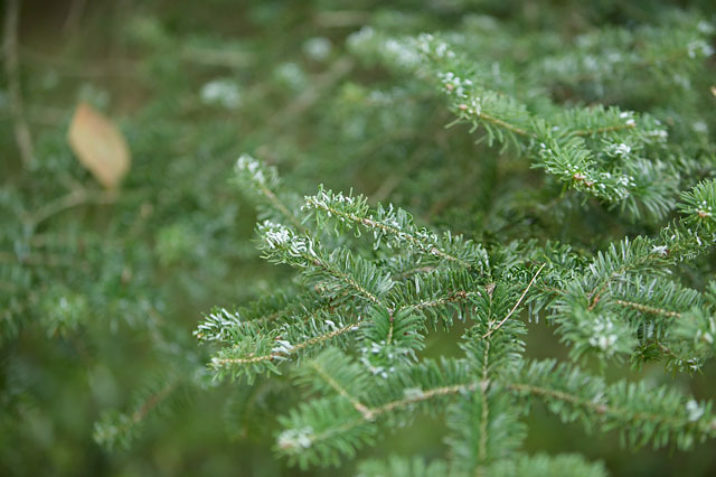 It grows at elevations of 2,200 to 7,000 feet (700 – 2,200 m) above sea level, often in temperate rain forest with high rainfall, cool, humid summers, and heavy winter snowfall. 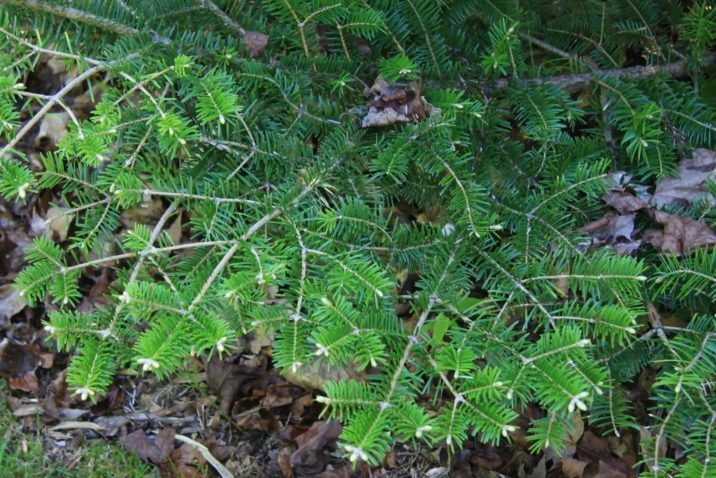 It is more common, and indeed in one of the commonest non-native firs planted in North America. Hardy to USDA Zone 5 — cold hardiness limit between -20° and -10°F (-28.8° and -23.3°C). 75 by 9 feet, 8 inches (22.5 x 2.9 m) Arnold Arboretum, MA (ca. 1981). 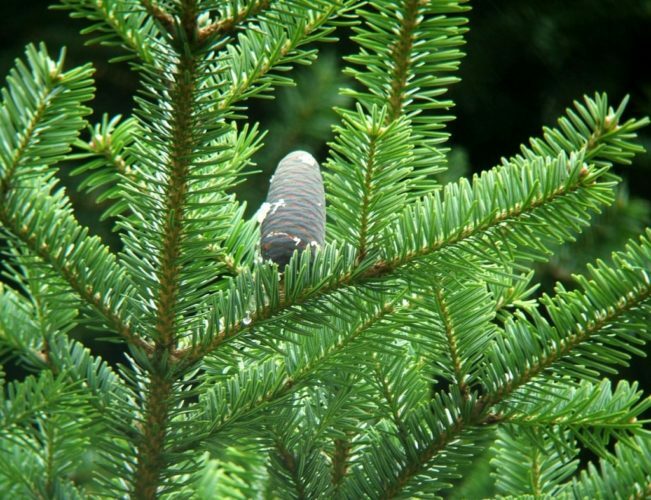 Abies homolepsis — photo copyright of Green Industry Images. 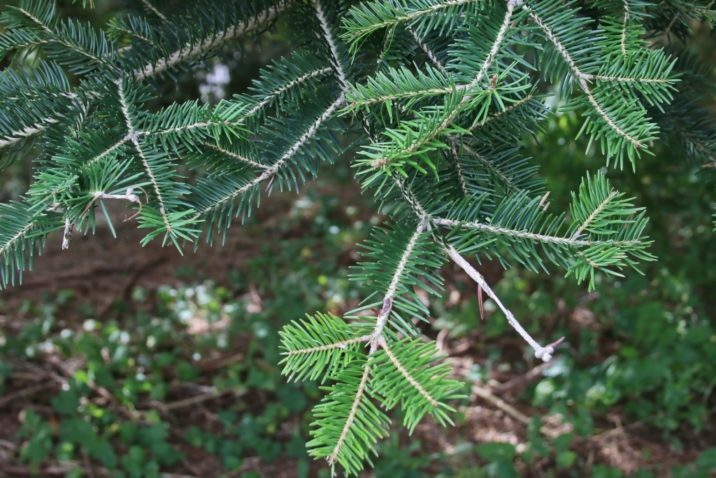 Abies homolepsis — a closeup of foliage and buds. 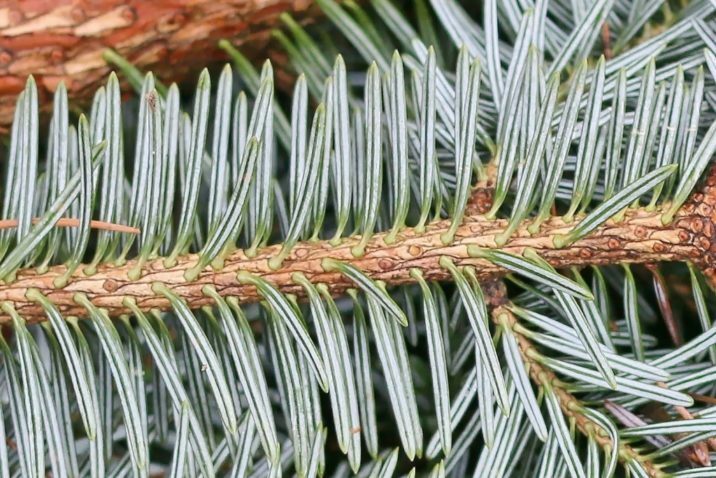 Abies homolepis — detail of foliage and cones. 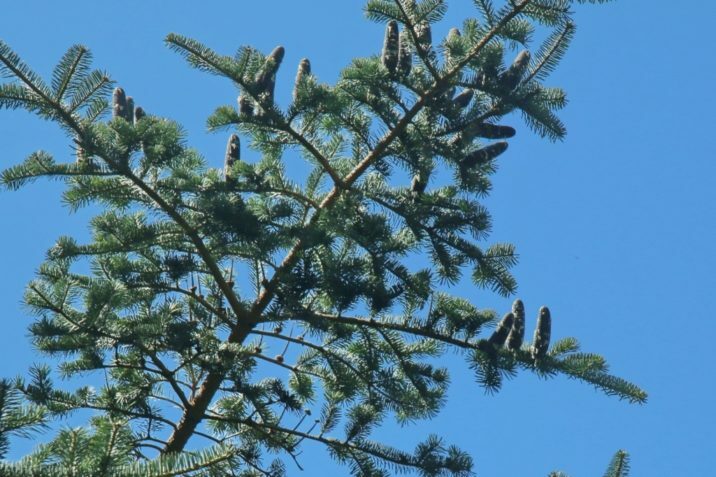 Abies homolepis at Cox Arboretum, Canton, Georgia. 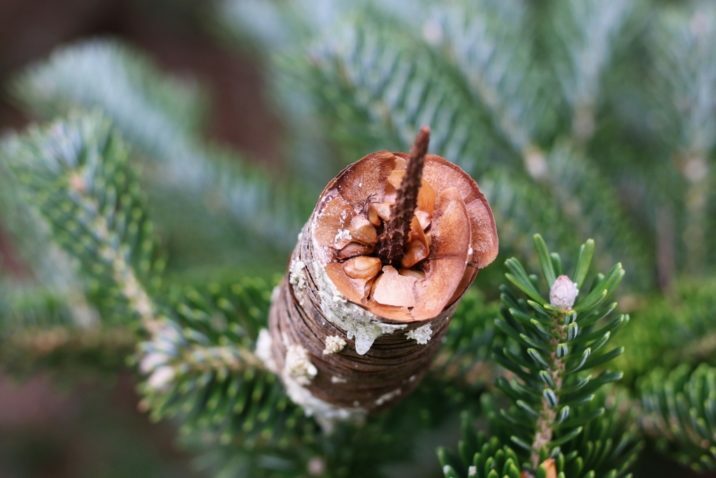 Abies homolepis — Vandusen Botanical Garden, Vancouver, B.C.